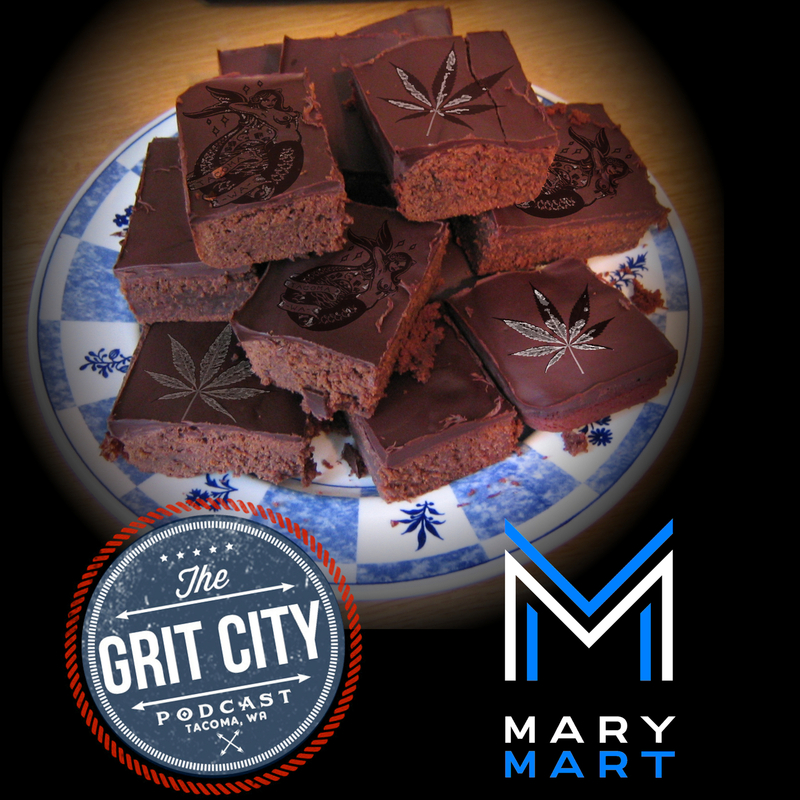 Billy and Misha return to give the guys an update on what’s new in the 253 cannabis world, this time joined by another fellow Mary Mart friend, Ava D'Jor from the Gritty City Sirens. Gritty City Sirens is a local Tacoma burlesque troop that performs in the PNW area. The group celebrates different body types, ethnicities, backgrounds, talents, and strengths of their performers. It’s also important to the group to give back to local non-profits in the community through proceeds and volunteering. Places they’ve helped out include: YWCA, Rainbow Center, Race for a Soldier, and Broadway Center. The show kicks off with discussion of Billy’s gift that he brought with him for the guys. Ava then dives into what burlesque is, what it stands for, and her favorite performances. She also discusses how she started with Gritty City Sirens 7 years ago and how it has progressively changed since it began. 15:49 – Justin covers how people can find information Gritty City online. Ava talks about working with community projects and how their main focus is to be involved with the community and how they got involved with Marry Mart and the benefits of cannabis. Ava then dives into her favorite and least favorite parts of burlesque. At the halfway point, Billy tells the guys about what they have coming up, including their 4/20 sales. Conversation then turns to Ava and how she got started in burlesque and her first performance. She explains the amount of practice that happens prior to performing and how people that are interested in joining can get started. 42:45 – This episode closes out with discussion of what’s coming up for the Gritty City Sirens, including their Tim Burton Halloween Ball, going on October 27th. Ava explains that this is a more integrative social event in the theme of Tim Burton movies. Billy shares his favorite Tim Burton movie and the show then dives into where each of the guests were born. They end with giving listeners information on where they can find Mary Mart and Gritty City Sirens online. Thanks Billy, Misha, and Ava for joining the guys for an intriguing conversation. We look forward to having you back on soon! Mary Mart: Recreational Marijuana Dispensary near Tacoma, WA — Mary Mart is bringing the best cannabis to the game. Find the very best cannabis here. Gritty City Sirens — The Sirens are a sisterhood based on trust, mutual respect, and empowerment. We represent and celebrate different body types, and ethnicities, backgrounds, talents and strengths.